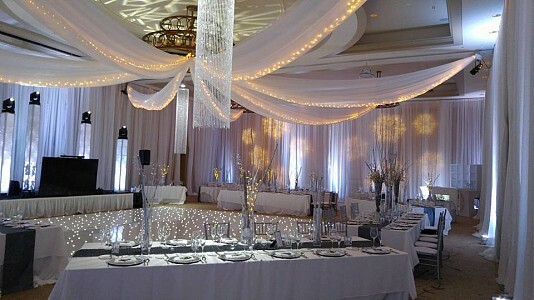 Too often clients focus their décor solely from the ground up, leaving empty space in the air. 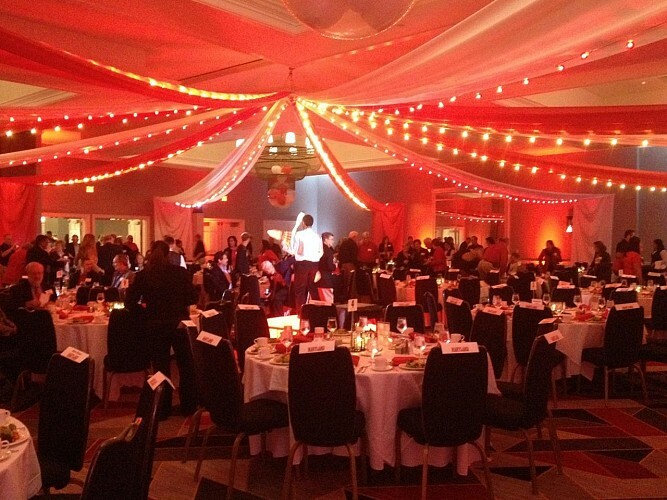 Consider our various ceiling treatment options for a comprehensive look and one that keeps your guests’ eyes moving! That’s the key to successful décor. 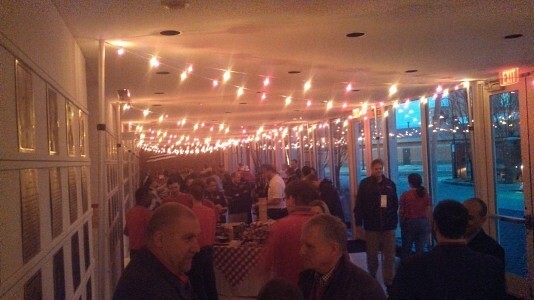 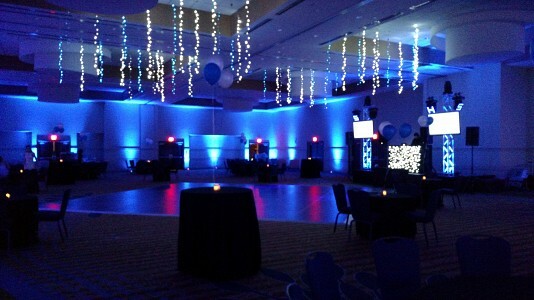 LED string lights can be hung magnetically in clusters or randomly placed to add illuminated to the ceiling. 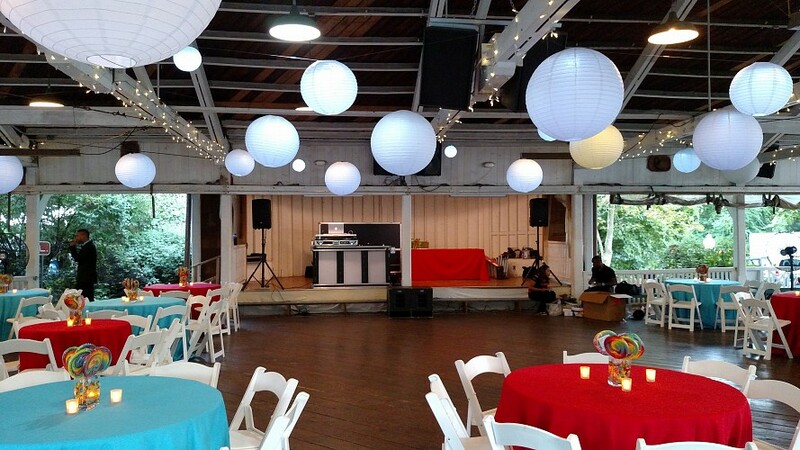 These are typically hung above the dance floor, but can also be hung above tables as “floating” centerpieces or to accentuate other décor. 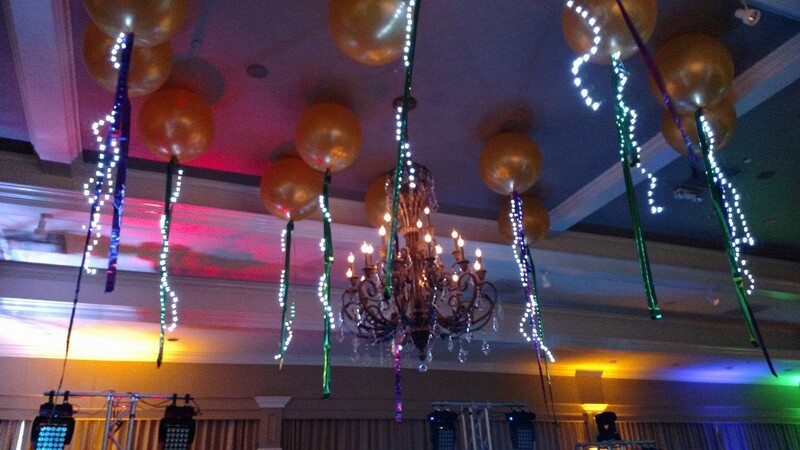 We also offer strands of globe string lighting in a variety of colors. 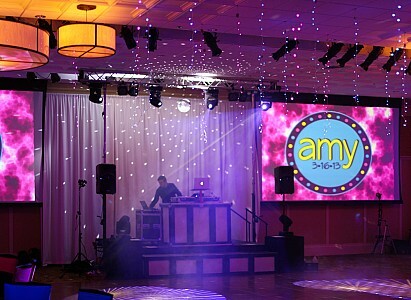 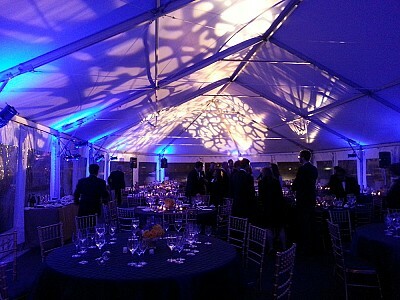 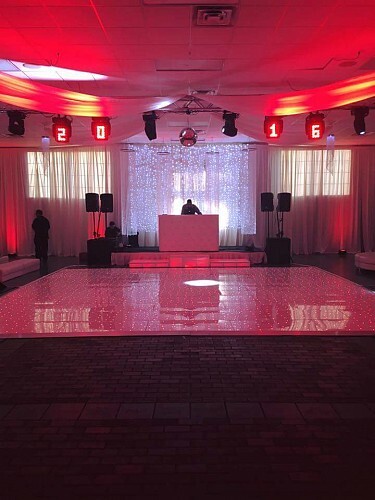 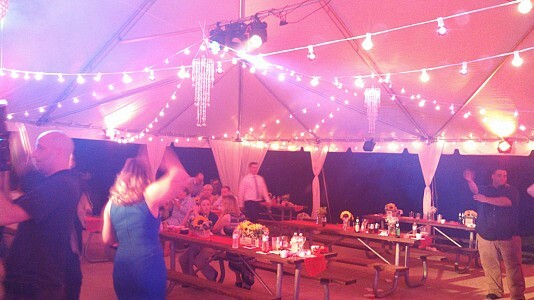 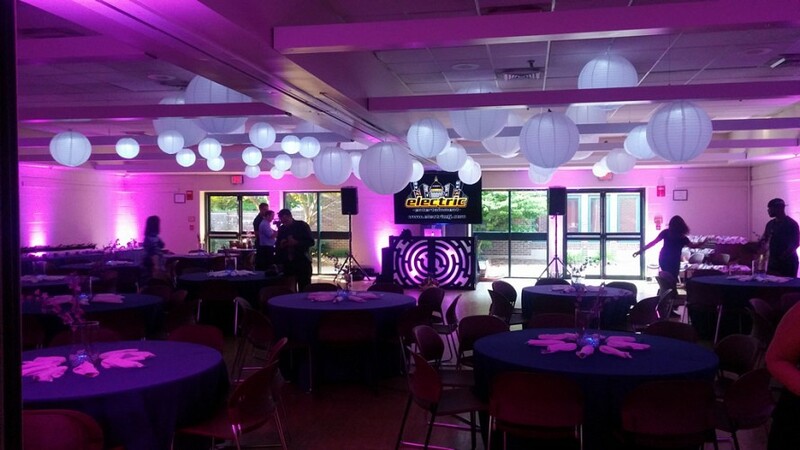 This classic visual effect can provide warmth and ambiance and is perfect for a romantic event. Consider pushing the envelope a bit and swap out standard soft white bulbs with colored bulbs, like pink or teal to add to your color theme. 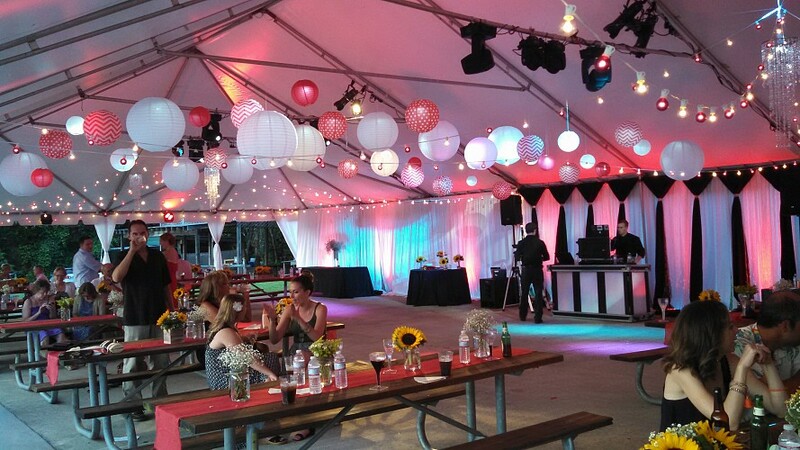 Oversized balloons or Chinese lanterns hung from the ceiling adds a slight “wow” factor without blowing the bank. 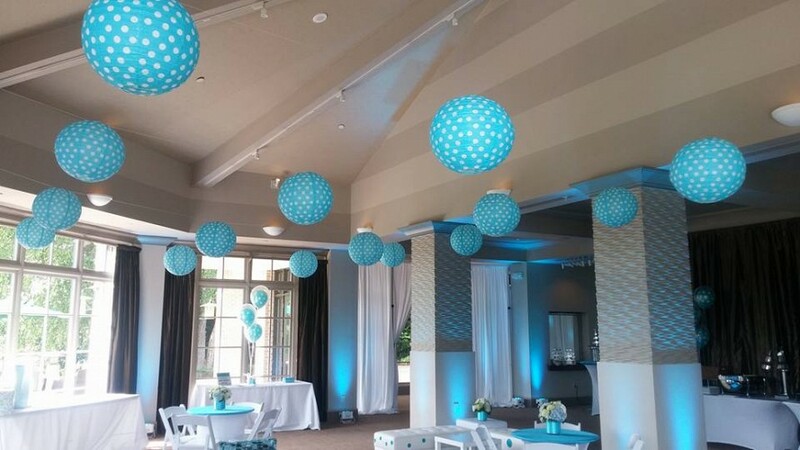 When suspended at various heights and sizes, balloons and lanterns add an extra element of depth to the room’s overall décor.